Filming: till February of 2007 in Udaipur & Jodhpur, both cities in the desert-palace state of Rajasthan, India. Natalie’s Character: Jack’s ex girlfriend. Plot Summary: Three American brothers (Schwartzman, Wilson, Brody) who have not spoken to each other in a year set off on a train voyage across India with a plan to find themselves and bond with each other — to become brothers again like they used to be. Notes: – The script has been co-written by Roman Coppola and Jason Schwartzman. – Natalie’s role in the film is a two second cameo with no dialogue. 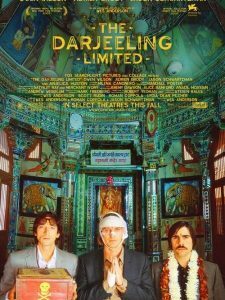 – Natalie asked Wes Anderson to not include her in any advertising for The Darjeeling Limited because it would be false advertising. – Natalie co-starred in Hotel Chevalier, a short film which serves as a prequel for the character of Jack. The short film will not accompany Darjeeling in cinemas.